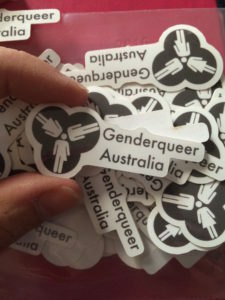 All international students are invited, especially those who identify as LGBT, queer or gender diverse, to attend the RBC – the events will be held over a period of eight months at Discover English in the Melbourne CBD. 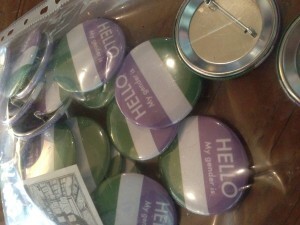 This program will offer a safe and supportive social environment for students to gain an understanding of the local queer community, foster strong friendships, learn the language of their identities and provide a platform for members to discuss their needs and issues with regards to sexuality. 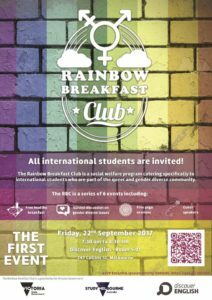 The Rainbow Breakfast Club is a social welfare program catering specifically to international students who are part of the queer, LGBT and gender diverse community.